Request an appointment online or give us a call. You can schedule weeks ahead of time, but we often have appointments available on short notice, sometimes even the same day you call. You generally do not need a referral or script from your doctor. We will, however, ask for the name of your doctor so we can forward your results. Let us know if and where you had a previous mammogram. We will get those results for comparison so you don’t have to worry about it. If we have your previous images before your appointment, we are able to get results for you within one business day. Wear a two piece outfit. You may find it easier because you will only need to remove your top for the exam. At Ella Health, we will have a soft robe for you to wear. You will also have a private dressing room where you can store your belongings. Remove or refrain from wearing antiperspirant. We ask that you not wear these products during the exam because they may contain aluminum, which can show up as tiny specks and create confusion when the radiologist looks at the images. Don’t worry if you have them on when you come in, however, we will provide you with a warm cloth to wipe them off. We also have deodorant wipes available if you forget or prefer not to bring your own for after the exam. Ask questions and let us know if you are nervous or have any discomfort. During the exam, we are focused on making you as comfortable as possible and we want to know right away if you have any problems. Even if you are just feeling a little anxious, we can help. Throughout the exam, we will explain to you what is happening and what we are doing. 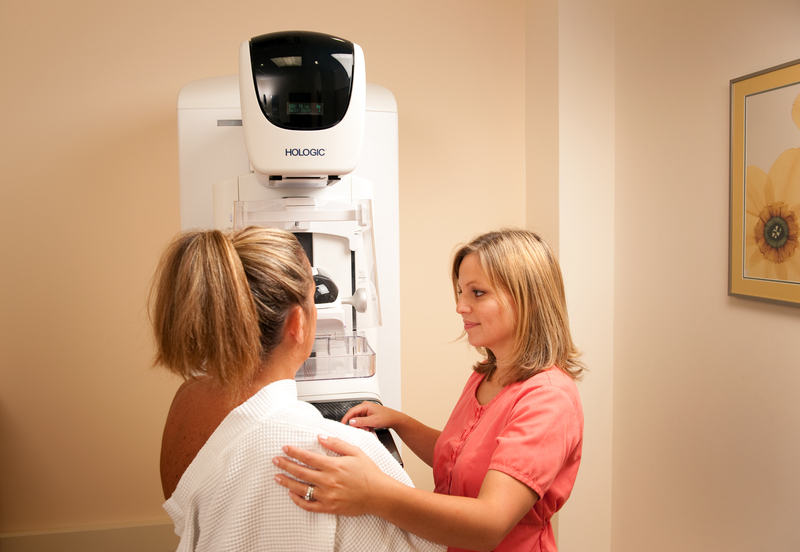 You will have access to 3D mammography, the most advanced imaging available. This takes only a few seconds longer than a conventional mammogram. In addition to taking side to side and top to bottom images, the 3D machine rotates around the breast taking numerous images that are then combined to provide a clearer picture. This increases accuracy and reduces false positives. Let us know how to reach you with the results. We can call or send an email. You don’t have to worry about getting your images to your doctor. We will take care of that. We will also set you up with a secure account so you can easily view your own images on line or share them with other providers. The American Cancer Society recommends getting an annual mammogram starting at age 40. This allows doctors to closely monitor changes in your health and to detect breast cancer at its earliest stages, long before there are symptoms when it is most easily treated.